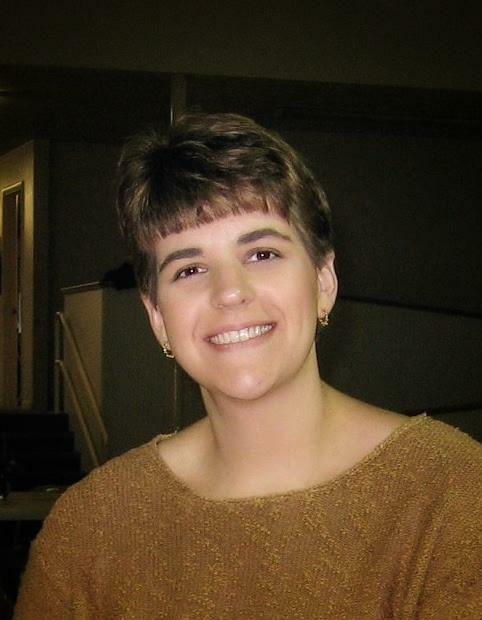 Darby Lynn (Beals) Kinne, 47, of Greene, went home to be with her Lord and Savior, Jesus Christ, on Wednesday, April 10, 2019. She is predeceased by her mother, Sue Beals; mother-in-law, Thelma Kinne and cousin, Jane (Best) Bottle. Darby is survived by her loving and devoted best friend and husband of 24 years, William R. Kinne Jr.; her father, John A. Beals, Greene; brother and sister-in-law, Steven and Sheryl Beals of Honesdale, PA; brother and sister-in-law, Daniel and Sandy Beals of Parkersburg, WV; sister and brother-in-law, Stacy (Beals) and Douglas McGowan of Greene; father-in-law, William R. Kinne Sr., of Greene; sister-in-law, Cindy (Richard) Ingraham; brothers-in-law, Darald (Eileen) Kinne, Scott (Rhoda) Kinne: aunts and uncles, Sandy and Dave Best, Korky and David Gwinn; her very dear and closest friends, Doug and Jodi Springston as well as several, nieces, nephews, and cousins. Darby was born on July 10, 1971 in Binghamton. She accepted the Lord Jesus Christ as her Savior at the age of 8. Darby’s beautiful voice and piano talents gave her so many opportunities throughout high school and beyond. She was the piano accompanist for the high school chorus and became the vocal highlight for many performances and concerts in high school and at her church. In 1989, she graduated from Greene Central High School, and then attended Broome Community College and Toccoa Falls College receiving a Music degree and a Veterinary Specialist degree. While working at the Greene Veterinary Clinic, she reconnected with her lifelong friend, Bill. Through their shared love of music, Darby and Bill found a great affection for each other and fell in love. They were married on September 10, 1994, in Greene. As they built their family with the adoption of many dearly loved cats and dogs, Darby also built a very successful business as a piano and voice teacher for many children and adults. Over the years, Darby also served as pianist for many local churches. Bill and Darby also continued to sing together, and gave concerts throughout NY and PA. Most recently, Darby has been a pianist for the Central Baptist Church, in Greene. Even though Darby increasingly suffered many physical difficulties, she continued to touch as many lives as she could, offering hope, love, encouragement, and prayer. She will be dearly missed by everyone who knew her. A funeral service will be held at 11 AM, Saturday April 13, 2019 at Highland Park Church. Rev. Jeff Cutting will officiate. Friends of the family may call Friday, from 5 to 7 PM, at Root Funeral Home, 23 N. Chenango Street, Greene, NY 13778. In lieu of flowers, donations can be made in Darby’s memory to Every Dog’s Dream Rescue, Inc. or to the SPCA. Condolences may be sent to the family at www.rootfh.com.